There’s something super nostalgic about building a gingerbread house with the fam during the holidays. But have you ever wondered what it would be like to walk inside of a life-sized version? Sometimes dreams do come true! 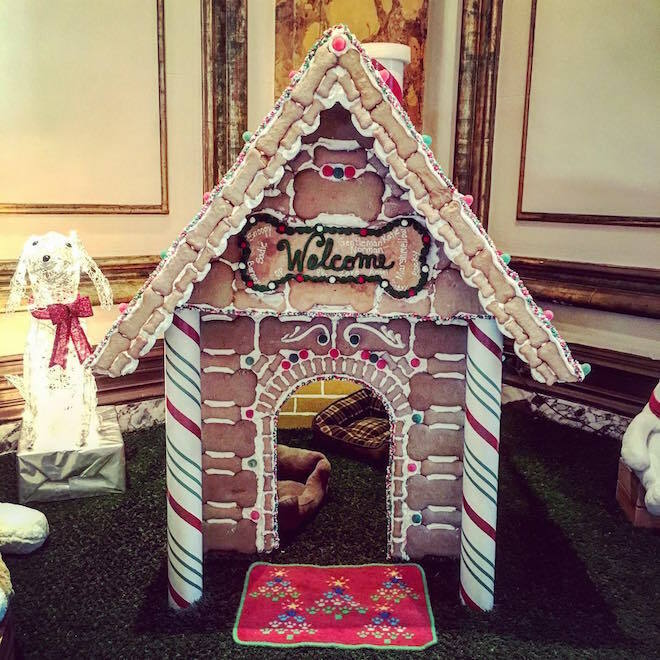 Fairmont San Francisco brought back their ginormous gingerbread house this season — which includes a gingerbread dog house for Fido too. And yes, it exists inside the hotel in the Grand Lobby. And yes, it’s edible (aside from the framework). 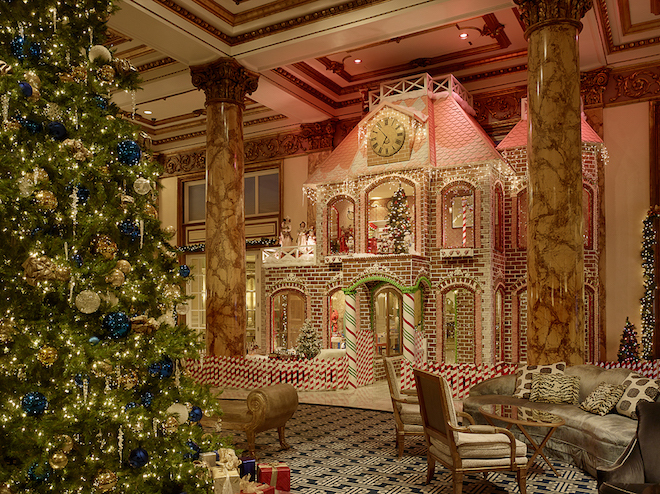 If you’re staying at the hotel, you get automatic entry to the gingerbread house. If not, no worries, you can still check it out pending availability with a suggested donation of $10 that goes directly towards Michael Franti’s “Do It For The Love” foundation. That’s a small price to pay to see the house, and plus, it’s an awesome charitable deed. Curious as to how much candy and labor of love goes into this event? We were too. Check out the whopping stats below, and you’ll appreciate it even more. This is perhaps the most impressive part. Executive Chef Andrew Court and Executive Pastry Chef Kimberly Tighe did some major planning in order to make this candy land dream become a reality. Their team spent roughly 375 hours creating the actual gingerbread house, and the engineering department also put in around 520 hours of framework construction. In the case you’re wondering what happens to all of that candy and gingerbread, the hotel recycles the framework and uses the edible portion for compost. Hey Fairmont, if you ever need help eating the leftover the candy, we’ll gladly volunteer! This place is incredible, I love visiting each December! Danielle Cohen you should go!! :) looks delicious! This house amazing, I love going here every year!